Samoa Football > News > Just Play > One door closes, another one opens. Its time for action! Miss Samoa taking part in practical session. 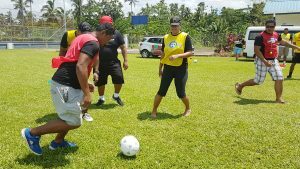 Football Federation Samoa Just Play Programme “Sports to Life” Teachers course for colleges continues in the big island of Savaii this week. 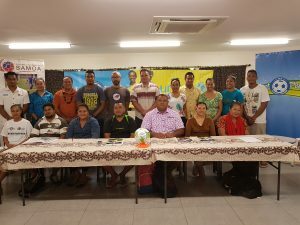 The launch of the program in Savaii has been notable with support from our current Miss Samoa Alexandra Iakopo and Nuanua o le Alofa members and the Ministry of Health representatives. 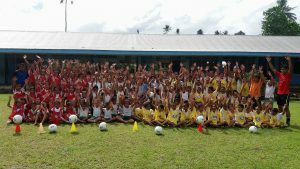 At its launch, Football Federation Samoa (FFS) President Laupama Solomona opened the program last week in Upolu. The program targets children in the age group 13-16 and aims to provide participants with skills to help students develop socialresponsibilities and to be able to make healthy choices and decisions to apply on and off the field. Another important aspect of the program is the inclusion of Government Ministries andNon-government organizations in the hope to deliver the message to a wide sector of the community. Nuanua o le Alofa, Ministry of Police, Ministry of Health the National Advocacy Organization of People with Disabilities are some of the organizations joined hands to support this initiative in regards to the social issues young people face today and how they can support. 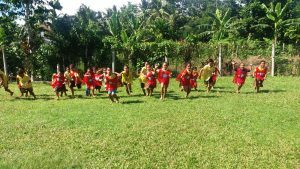 Sports to LifeProgramme is funded by theAustralian Government, the New Zealand Government, Football Federation Australia, UEFA Foundation for Children, UNICEF and managed by the Oceania Football Confederation. Participants that complete the three (3) day course will receive certificates to conclude the 3 days of training.